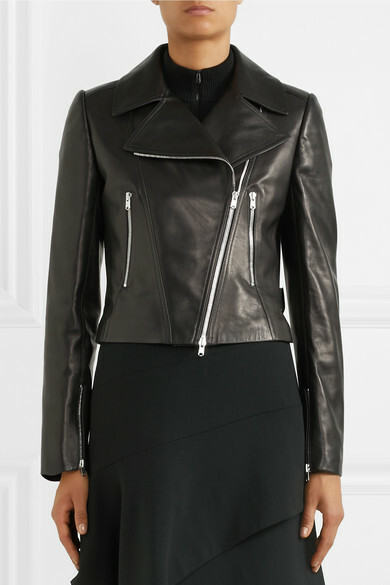 Azzedine Alaïa's jacket is crafted with the same impeccable attention to detail as his iconic fit-and-flare dresses. 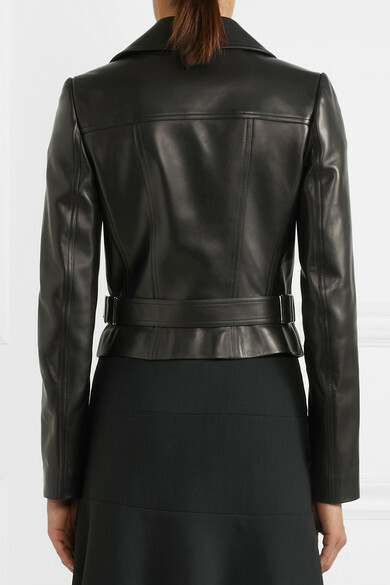 Tailored from butter-soft black leather, it follows the curve of your waist before cropping neatly at the hips. 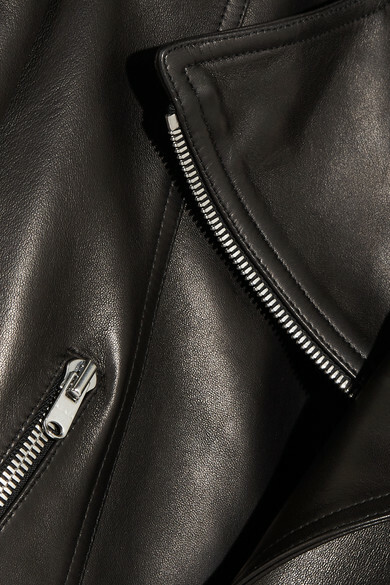 The simple silver hardware and open collar feel a little more sophisticated than your weekend biker style. 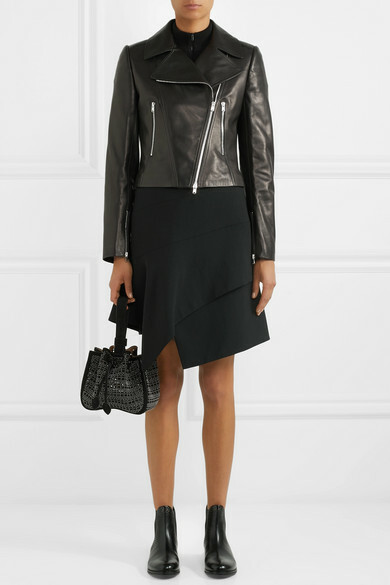 Shown here with: Alaïa Sweater, Alaïa Skirt, Alaïa Bucket bag, Alaïa Ankle boots.